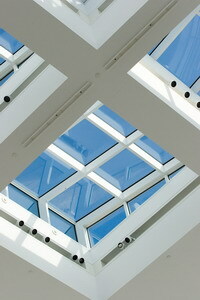 Shades for skylights are quickly gaining in popularity among Americans today as the latest form of light control and heat protection. Their neat and convenient appearance allows for both practicality and modernity. Skylight shades can completely alter the dynamics of a room, by providing controlled light transmission and the controlled quality of light. 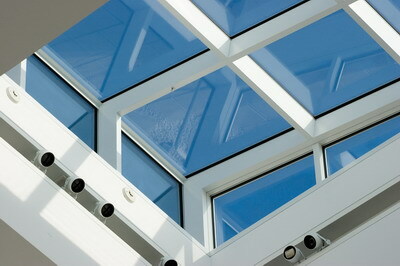 In addition, skylight shades provide privacy and protection against UV rays. Roof 101 can help you reached your desired look by offering skylight shades in a wide range of styles, colors and materials. Roof 101 offers skylight shades in all possible styles and materials available, including roller blinds, venetians, light-block shades and cellular shades. The chosen style and material for a skylight shade will greatly affect the potential control over light transmission and light quality. For example, the material in cellular shades filters direct sunlight in order to minimize glare, while venetians allow for light to be directed towards certain areas without blocking the outside view. 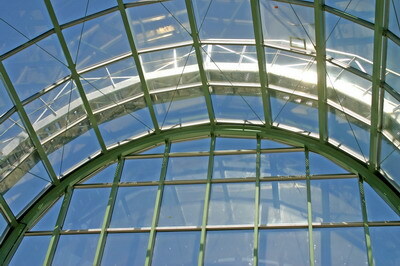 It is important to take these factors into consideration, as each skylight shade is designed to increase energy efficiency to a different degree, from 12 to 40%, which can heavily influence your heating and cooling costs. In addition to providing skylight shades, Roof 101 is also able to install for you an electric control system which eliminates the need for cords and poles, and provides you with maximum comfort and control in your home or office space. 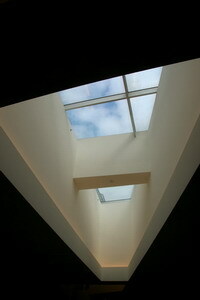 A Skylight sun shade provides maximum protection against excessive heat infiltration and glare. They are installed from the exterior of your skylight in such a way that doesn’t require any holes or drilling, and their sun protection will also protect against the fading of furniture. Roof 101 strongly recommends this feature, because while blocking up to 80% of heat infiltration, it still filters through all natural light available.